Grilled Cauliflower :: Edible Garden Corp. Description: Grilled Cauliflower with Rosemary and Thyme is the perfect summer side dish, scented with fresh herbs. 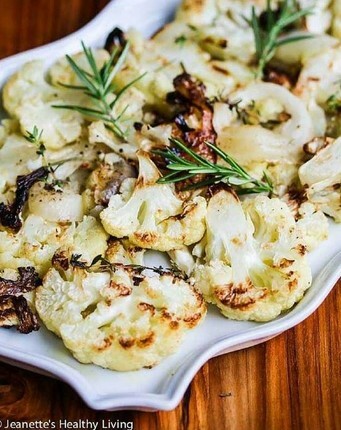 Grilled Cauliflower with Rosemary and Thyme is the perfect side dish, scented with fresh herbs. Turn grill on. Line a baking sheet with foil. Drizzle some olive oil on top of foil. Lay cauliflower slices on baking sheet in a single layer. Layer onion slices on top. Place thyme and rosemary sprigs on top. Drizzle with remaining olive oil. Season to taste with salt and pepper. Transfer foil with cauliflower to grill. Grill, covered, about 20 minutes, turning cauliflower pieces over halfway through cooking. Edible Garden strives to offer the freshest farmed produce on the market today. “Living” produce is the freshest way to eat, allowing you to serve your family a more nutritious product you can feel good about. 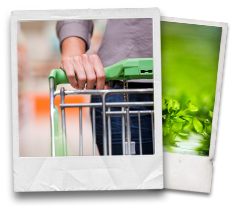 Our products are GFSI certified, Non-GMO Project Verified, Certified Kosher and we now carry a line of USDA certified organic herbs. © Copyright 2019 Edible Gardens. All Rights Reserved.